A juicy smoothie recipe made with detoxifying pineapple, lemon, greens, ginger and spirulina—so refreshingly sweet and spicy! Topped with fruit, toasted coconut flakes, cocoa nibs and a drizzle of honey. 1Combine all smoothie ingredients together in a high-powered blender. Blend until smooth. 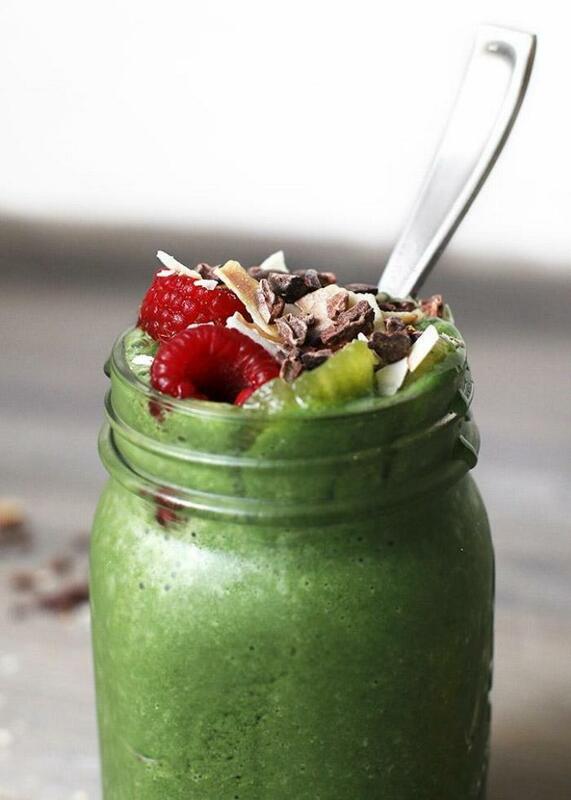 2Pour smoothie into a glass, and top with toasted coconut flakes, cacao nibs and sprinkle with salt. Add fresh raspberries, slices of kiwi and drizzle with honey or maple syrup. *For vegan, substitute collagen powder with vegan protein powder; use maple syrup instead of honey.